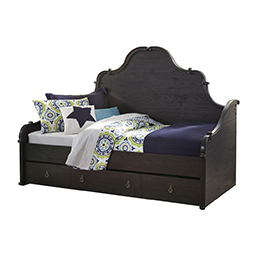 We understand the bind you’re in, shopping for ideal kids’ room furniture. You need to balance at least three factors in making your choice for your children. 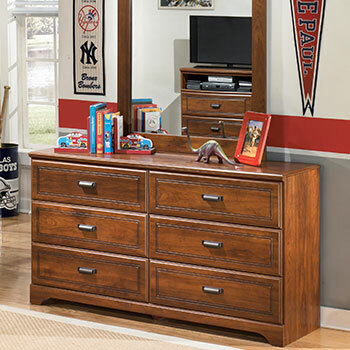 First, find a décor that matches the ever-changing aspect of your child’s unique personality as well as an interest they may have right now. But you can’t over-invest in that interest for it may soon be outgrown or become uncool. 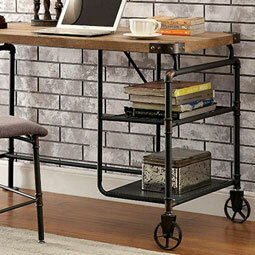 Now factor in durability, as growing children can inflict a lot of punishing wear and tear on their furniture. Also, a long-term expense to plan for is switching a twin bed for a younger child to a full-size one for your growing teen. The good news for you is at Oak & Sofa Liquidators, these far-ranging decisions have never been easier or more affordable. From classic Leo blue to Lulu white, our showroom has kids’ room pieces to fit every age, décor, taste, interest, and budget. 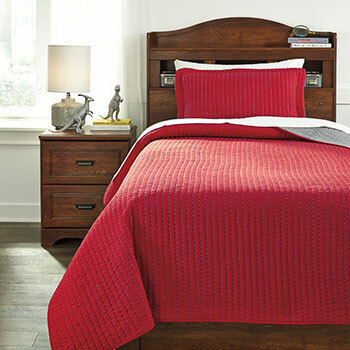 With more than 350 beds to choose from, including bunk beds and daybeds, find the perfect piece to meet your needs. These have matching night tables and mirrored dressers should you need them. Kids’ desk ideas range from deep, warm brown finish of the Phoenix Cappuccino to the gleaming white one of the Selena White. 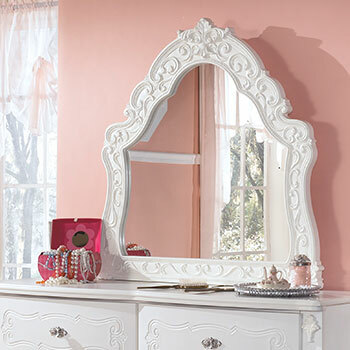 Perhaps your princess would love our white vanity desk. Also consider the practical genius of the storage bed, an answer to every parent’s dilemma of unending clutter in their child’s bedroom. 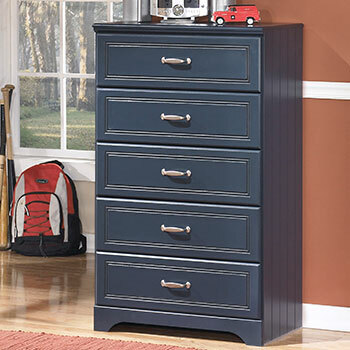 Imagine a tremendous saving of floor space as clothes and toys are neatly filed away in drawers below the mattress case, and some models even have bookcases built into the headboard: bed, chest, and shelves all rolled into one! 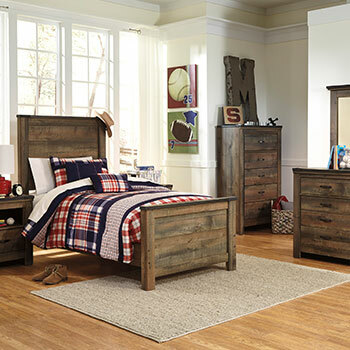 While maybe not as fun as toys and computer games, the right kids’ accent pieces for the bedroom make it not only a design showplace but an inviting retreat for your child as well as a conducive place for playtime. We have everything from pillows with French bulldog faces to gold glitter coverlet sets in bold colors such as plum and even camouflage patterns for your young soldier or hunter. 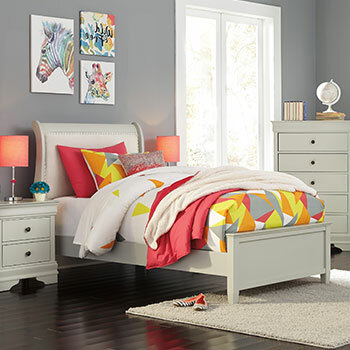 Stop by our Fresno, CA showroom now to get started on setting up or upgrading your kids’ room furniture set for much less than you expected!